Maths worksheets and PowerPoints about circles and their properties. For Circle theorems see circle theorems under 'Shapes, space and measures'. 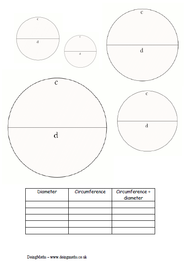 A worksheet containing 5 ready drawn circles for pupils to measure the diameter and circumference of using a ruler and a length of string. Pupils then divide their circumference measurements by the diameters and see if they spot a link in the answers. A great introduction to pi. 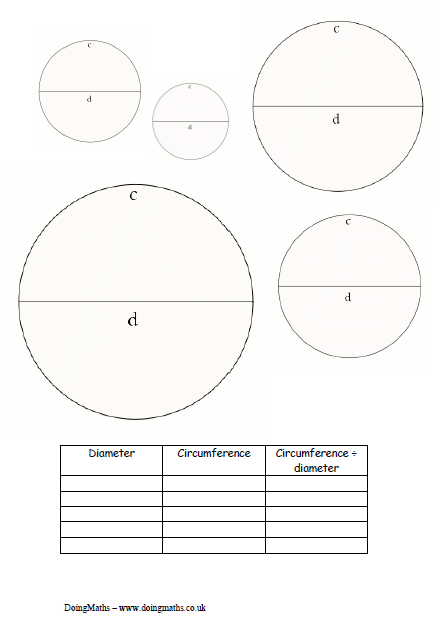 Visit this article about teaching circumference and diameter to find out more.